The most amazing, most beautiful and most elegant photograph we have ever seen. Weeki Wachee Springs (aka Lady in the Water) is one of the most famous black and white photographs of the 20th century. This photograph captures an effortlessly elegant model floating in the warm waters at Weeki Wachee Springs, Florida. Tony Frissell captured this image in 1947 and it was published in Harper's Bazaar later that year. This is by far our favorite photograph and we are very excited that it is now available as a fine art canvas print. The perfect accent and wall decor idea for any interior, Toni Frissell's Weeki Wachee Springs is the epitome of style and grace. Eerie and beautiful. 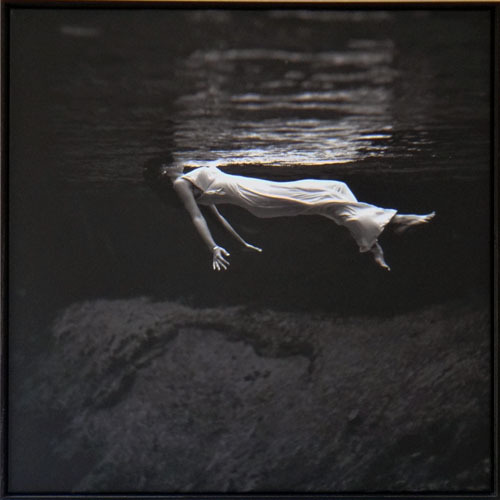 The model being fully clothed, in black and white, makes Toni Frissell's Weeki Wachee Springs one of the most fascinating black and white photographs of the last century. Toni Frissell is one of the most recognized photographers and famous for her timeless black and white photographers. She gained fame with her famous underwater photographs and her fashion photography for fashion magazines Vogue and Harper's Bazaar. Weeki Wachee Springs (1947) is unquestionably the most significant photograph by Toni Frissell. Breathtakingly beautiful. 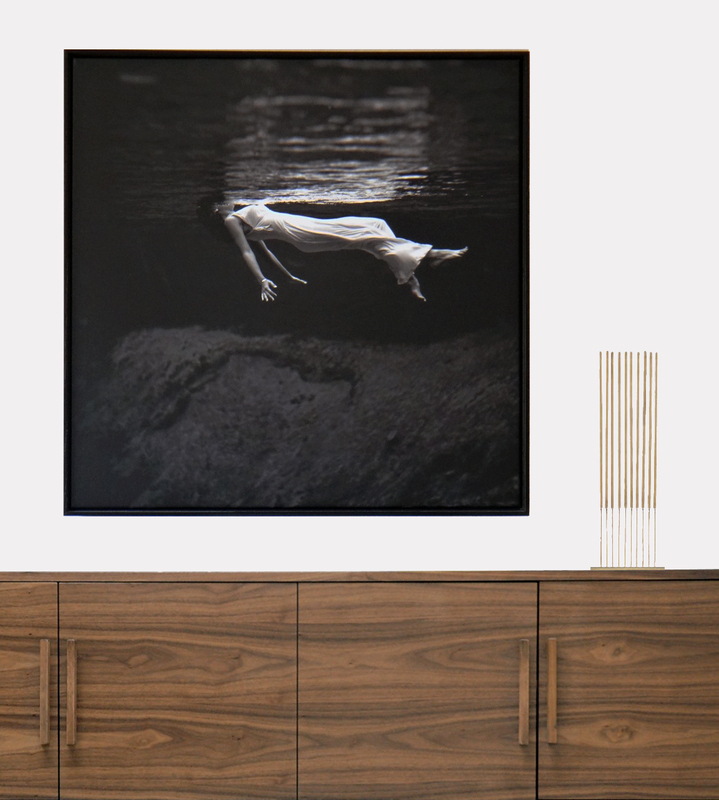 This fine art print on canvas is part of Spazia's 20th Century Modern Icons of Black and White Photography collection. This icon of modern photography was tastefully recreated with archival-quality printing on a quality canvas. It is framed with a timeless black wooden frame. Comes ready to hang to your wall, right out of the shipping box.